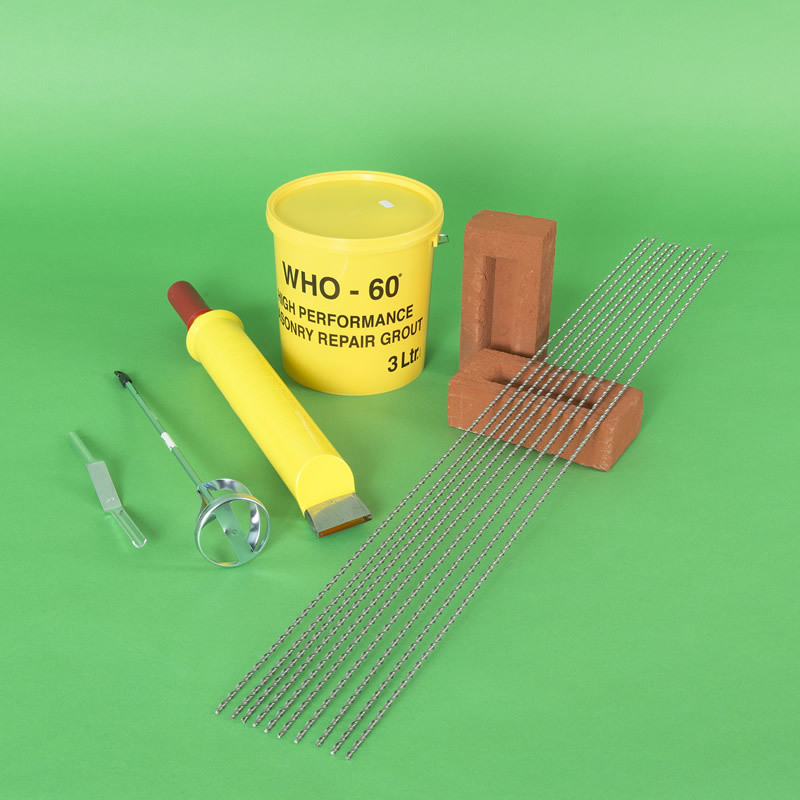 The Thor Helical Crack Stitching Kit contains everything needed to reconnect and strengthen cracked brickwork and fractured masonry. 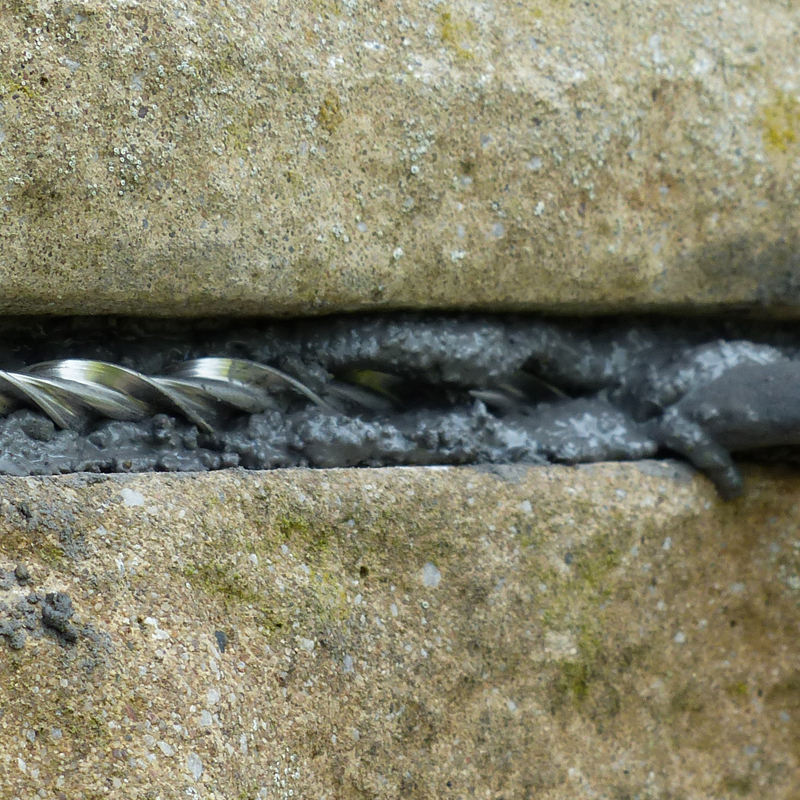 A series of durable stainless steel helical rods are discretely bonded into slots formed into mortar bed joints to stitch across cracks, spread tension loads and create a reinforced zone that inhibits progression of the crack. 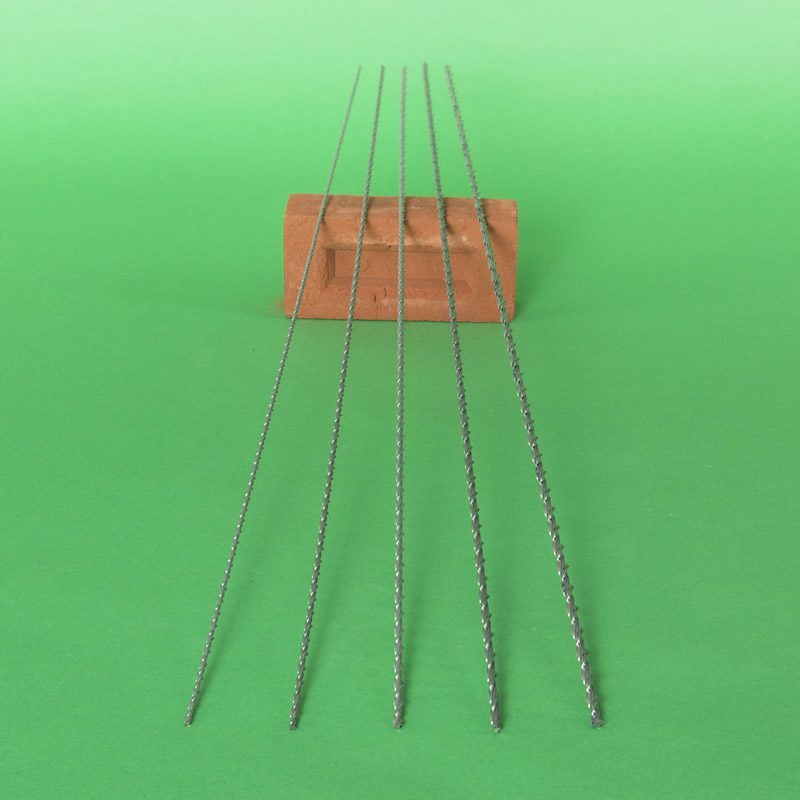 10 x high tensile stainless steel helical bars in a selection of diameters. 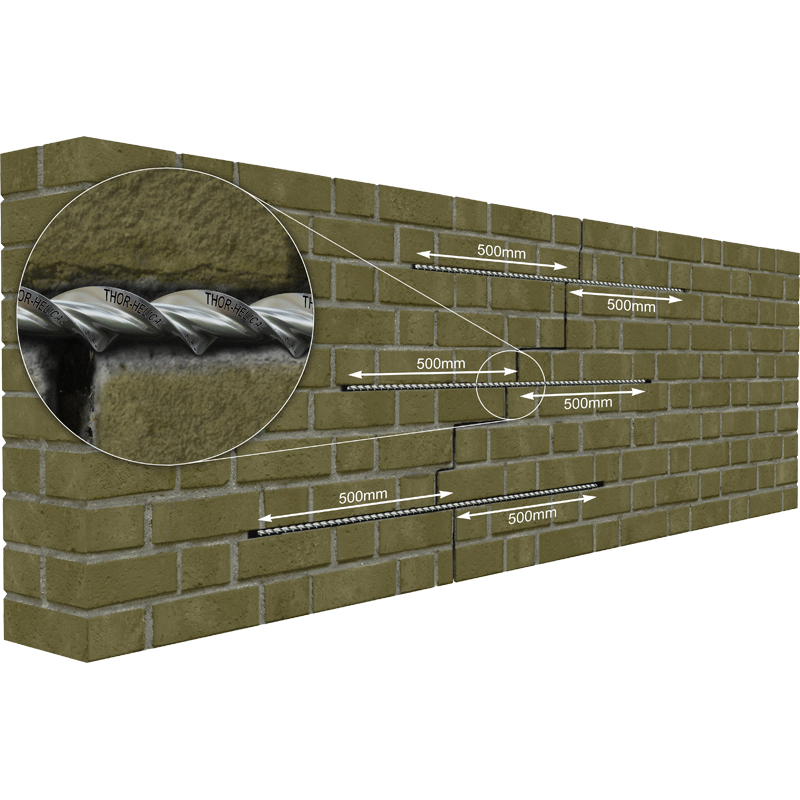 The helical profile of the rods provide an excellent key for bonding into mortars. 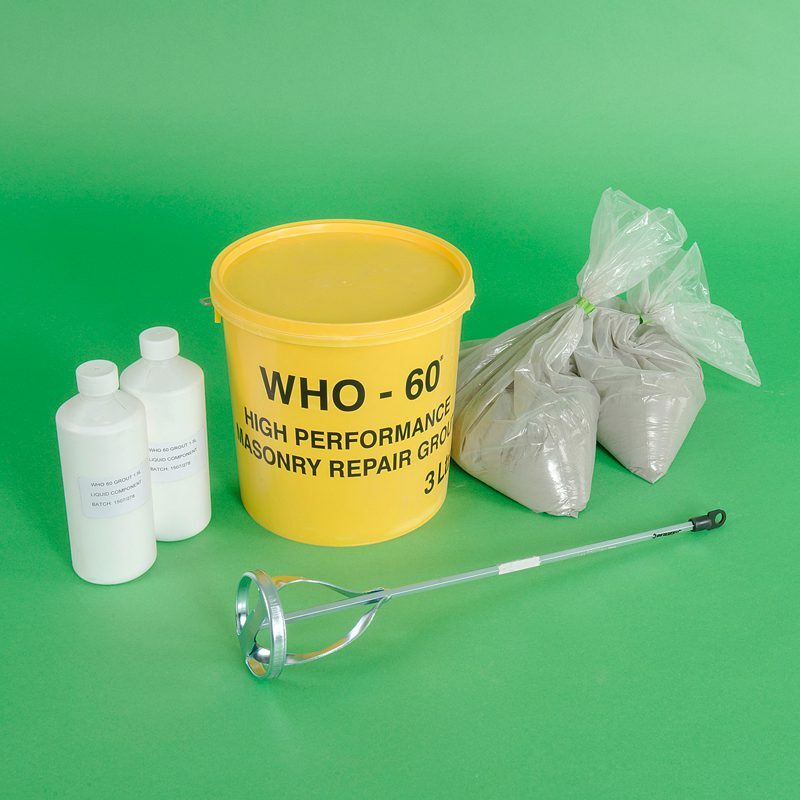 1 x 3L tub of WHO60® polymer modified grout that has been specifically formulated to bond crack stitching bars into brick and masonry walls. 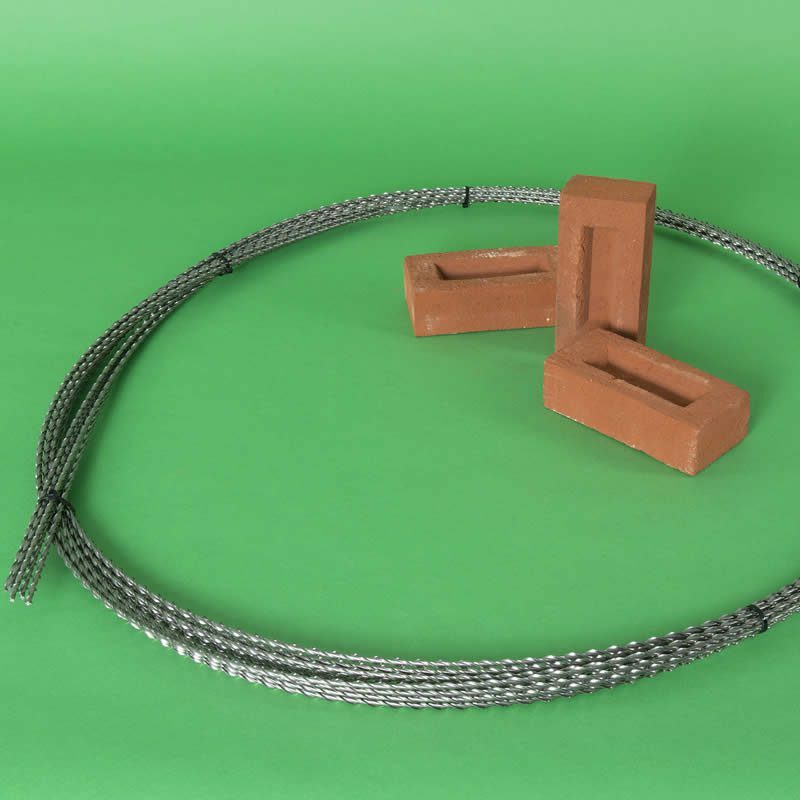 This effective, reliable and durable brick stitching system provides resilience against further cracking with minimal cost and little disruption. Components are supplied in sufficient quantities to make a minimum of 48 kits. 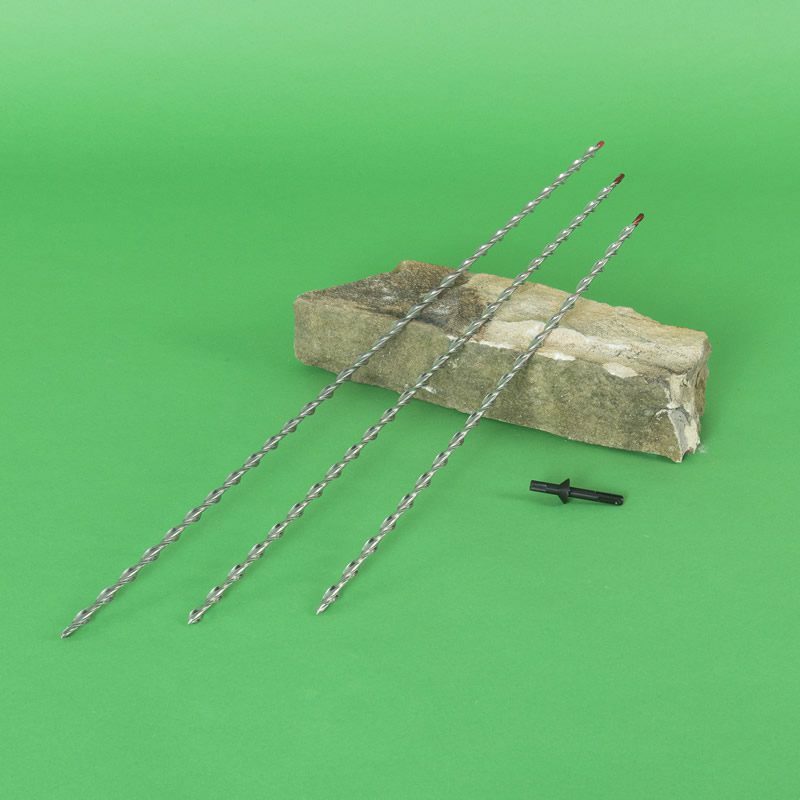 The components can be packed individually in distributor-supplied ‘crack stitching kit’ boxes.